Discussion in 'Forum Introductions (Who are you!?)' started by castr131, Apr 15, 2018. I have been around the forum for about a week now, and have finally decided it's time to introduce myself. I view this forum as a group of mentors who are genuinely interested in providing value to others. Quick thanks to @MJ DeMarco for creating such a valuable community. Here's a quick overview of who I am. I am one month away from completing my first year of state university, pursuing a Bachelor's of Science in Computer Science, while pursuing a minor in Business. I am fortunate enough to receive enough financial aid to attend university without putting myself into any debt, which is the only reason I have decided to attend university full-time. I have been around technology my entire life, so I know I want to leverage my technological skills to create a fast lane business down the road. 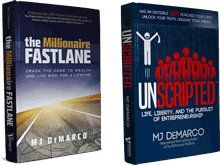 On the subject of fast lane, I am currently reading the Millionaire Fastlane, and have already ordered Unscripted from Amazon. I can't wait to finish them both! At the moment, I am grateful that I don't have any expenses to pay for, as I am living at home with my parents and older siblings, but that doesn't stop me from wanting to create my own source of income. I have held a job before as an auto-detailer, but it was just a summer job during my junior and senior year of high school. Surprisingly, I still have money saved up from working that job, as I am very frugal with my money, more so than anyone else in my family. My current objective: After doing some research on the forum's gold threads, I have come across @Fox 's How to Learn Code, Start a Web Company, $15k+ per month within 9 months which I plan on following in order to create a source of income for myself, but after looking deeper, I have realized that it will take a few months before I actually make a sale. Therefore, I have decided to first follow @SinisterLex 's 15 Days to Freedom - Make Money Copywriting in 15 Days or Less. This way, I have a much quicker route to achieving a source of income, which will then allow me to move onto learning how to start creating websites. With this I plan to accomplish two goals; Learn the valuable skills of copy and creating effective websites - both will allow me to create a slow lane source of income, which in the future will become my fast lane business funds. All through and said though, I am yet to begin, and plan on doing so as soon as I post this. If anyone believes there is a much more efficient path to create a source of income, I am very open-minded to any recommendations. I hope that in the future, I have gained enough knowledge so that I can give back to the forum. If you read my introduction I thank you, and encourage you to leave a reply as I am excited to meet the members of this forum. paul.waker, JohnnyAppleseed, btig829 and 7 others like this. Great intro thread. Its clear that you got great writing skills going by this intro thread so I am sure you can turn copywriting profitable in a very short amount of time. Combine that skill with web design and you will be flying it. Welcome to the forum and feel free to tag me in any posts you need help with. Dylan in Africa, Mr.C and castr131 like this. Welcome to the forum. Sounds like you've got a great start on things, not to mention a great degree to be studying at school, without the cost! castr131 and Mr.C like this. Welcome welcome welcome! It's cool to see young people here! Let's all head towards our goals and never give up! Well written intro post, and it sounds like you are on the right track with a good head on your shoulders. You are fortunate to come across this gem of a forum at just 18 years old with time to build skills and income-producing ventures throughout the next 3 years of college. As a recent CS grad myself, I'd stress the value in devoting time to self-study, exploration of your own interests, and personal development in addition to your coursework. Stay on that path, and you should be well on your way. 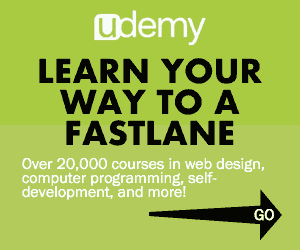 Web development should come easily to you if you understand the basics of programming. What have you studied in your first year? Thanks for the welcome, compliments, and great advice! In regards to what I have studied in my CS courses thus far, my curriculum is based on C++. On another note, it's cool to meet a fellow CS Major! Dylan in Africa likes this. No problem, man. Thanks for sharing. Sounds like you're lined up to tackle bigger and better. Shoot me a message if you want to talk anything (business ideas, CS courses, web dev, copywriting, life, etc.) over. I'd love to put our heads together, help someone who I see a lot of my younger self in, and see what happens. Peace. Hi castr, you're an articulate writer which makes me think copywriting could be a good niche for you. The combination of Computing and Business in college sounds like a real winner for an intellectual foundation. And how cool that you have a low-stress way to make that happen without getting into debt. I'm curious if there was a predominant range of languages and methodologies you've been exposed to in your CS classes, or if it's been more of a survey of lots of different tidbits.